Buyers seeking the perfect home -- do YOU have that home? I may already have the buyer for your home! Check to see if one of these buyers might be the one you're awaiting! Below are buyers who have asked me to help them find their new home. Looking for something special? Thinking of selling your home? CONTACT ME and lets see if one of my listings or one of these buyers is the perfect match! Delightful lady seeking a home in Deerfield, Highland Park, or Lincolnshire. Looking for at least 3 bedrooms and 2 1/2 baths, priced between $450,000 & $650,000. Buyer looking for their next home in Deerfield, Glencoe, Glenview, Highland park, Kenilworth, Lake Forest, Lincolnshire, Lincolnwood, Morton Grove, Northbrook, Wilmette, Winnetka, or Buffalo Grove. Home should have at least 2 bedrooms, and be 5-10 years old, priced between $400,000 to $900,000. Delightful women seeking Townhouse/Condo in the Arlington Heights, Mount Prospect or Prospect Heights area. She would like at least 2 bedrooms and 1.5 baths with in the price range of $200,000 and $300,0000. Our dream home is located in Deerfield, Glencoe, Highland park, Lake Forest, Skokie, or Winnetka, it has at least 2 bedrooms and is priced between $650,000 & $1,000,000. My family is looking for our next home in Deerfield, Kenilworth, Lincolnshire, Northbrook, Riverwoods, Arlington Heights, Buffalo Grove, Hawthorn Woods, Kildeer, Lake Zurich, Libertyville, Long Grove, or Vernon Hills. We need at least 4 bedrooms and 2 baths, we are open to a home of any age, our price range is $300,000 - $600,000. Looking for a home in Lake Forest, priced between $200,000 - $350,000 with 3 bedrooms and at least 1 1/2 baths. Seeking a home in Glenview, Highland park, Highwood, Winnetka, or Gurnee, with 1-3 acres, 3 bedrooms & 2 baths priced between $100,000 & $150,000. I am seeking an attached home that features 2 bedrooms and is located in Northbrook, Arlington Heights, Mount Prospect, Palatine, Vernon Hills, or Wheeling. My price range is $100,000 to $350,000. This nice gentleman is looking for a home in Highland Park that offers 2 bedrooms, 2 + baths, priced between $200,000 & $400,000. I am looking for a home sitting on at least half an acre to one acre of land. The home should be located in Lincolnwood, Wilmette, Barrington, Buffalo Grove, North Barrington, or South Barrington. I will need at least 4 bedrooms and 3 baths, and my price range is $200,000 - $650,000. A special family is seeking a home in School District 113, Niles, Deerfield or Highland Park area. The ideal home will feature at least 3 bedrooms and 2 baths, priced up to $450,000. This gentleman is seeking a home that features 3 bedrooms, 2 full baths and is priced between $200,000 & $350,000. His ideal home will be located in one of the following areas: Algonquin, Arlington Heights, Barrington Area, Buffalo Grove, Cary, Oakwood Hills, Crystal Lake, Lakewood, Elk Grove Village, Fox River Grove, Hawthorn Woods, Lake Zurich, Kildeer, Long Grove, Hoffman Estates, Inverness, Mount Prospect, Palatine, Rolling Meadows, or Schaumburg. This buyer is seeking a home that offers at least 3 bedrooms, and 2 full baths, priced up to $450,000. Their new home will be located in School District 113. A wonderful buyer is looking for her dream home in Highland Park! The home will feature 2 bedrooms and be priced between $200,000 & $400,000. Winnetka is where this delightful couple is looking for their next home. The attached home they dream offers at least 2 bedrooms and is priced between $250,000 & $450,000. A wonderful family is seeking their next home in Deerfield or Riverwoods, Their next home will feature 4 bedrooms, 2½ + baths, a basement and at least a 2 car garage. The price range is $550,000 to $850,000. This buyer is seeking an attached home in Deerfield, Highland Park, Highwood, or Northbrook. The perfect home will feature at least 2 bedrooms and be priced up to $400,000. This buyer is looking for a home sitting on at least half to two acres of land. The home will be located in Barrington Area, Hawthorne Woods, Lake Zurich, Kildeer, or Long Grove. The home will feature at least 3 bedrooms, 2 baths and be priced between $350,000 & $800,000. This buyer is looking for a home in Evanston with at least 2 bedrooms and priced between $450,000 & $650,000. This delightful couple is seeking a home with a basement, 2-car garage, and 2 bedrooms priced up to $700,000. The home will be located in one of the following areas: Deerfield, Glencoe, Glenview Golf, Highland Park, Northbrook, Northfield, Wilmette, or Winnetka. These buyers are searching for their next home in Deerfield, Highland Park, or Northbrook. Their ideal home will feature at least 4 bedrooms and a 2 or 3 car garage. Their price range is $900,000 to $1,500,000. A wonderful couple is looking for their dream home in Northbrook, priced between $900,000 and $1,500,000. A buyer is looking for a 2-bedroom home priced up to $200,000. The home will be located in one of the following cities: Highwood, Lake Bluff, Lake Forest, Lincolnshire, Arlington Heights, Barrington, Barrington Hills, Buffalo Grove, Grayslake, Gurnee, Lake Zurich, Libertyville, Long Grove, Mount Prospect, Mundelein, North Barrington, South Barrington, Vernon Hills, Wheeling. These buyers are looking for a home featuring a master bedroom on the main level with it’s own private bath. The home will offer at least 2 other bedrooms, 2 baths, be less than 10 years old, and priced up to $1,750,000. The home will be located in one of the following areas: Deerfield, Highland Park, Northbrook, Northfield, or Winnetka. A gentleman is seeking a home priced between $500,000 & $850,000 with at least 4 bedrooms and 2½ baths. The ideal home will be located in Evanston, Gurnee, Green Oaks or Libertyville. Arlington Heights buyers looking for a 4 bedroom, 2 bath, 2-car garage home in the subdivision of Terramere, priced up to $750,000. Arlington Heights, Buffalo Grove, Deerfield, Glencoe, Green Oaks, Libertyville, Hawthorn Woods, Lake Zurich, Kildeer, Long Grove, Highland Park, Kenilworth, Lake Bluff, Lake Forest, Lincolnshire, Northbrook, Northfield, Palatine, or Vernon Hills. Buyer seeking a home in Wauconda priced up to $300,000. This buyer is looking for her next home in Winnetka, it will be an attached home priced between $250,000 & $450,000 and offer at least 2 bedrooms. The next home for this family will not be older than 10 years, and will feature 4 bedrooms, 2½ baths, a 2+ car garage, and offer a private master bath. The price range for this family is $500,000 to $800,000. This wonderful family is seeking a new home in Bannockburn, Deerfield, Ft. Sheridan, Glencoe, Glenview Golf, Glenview Naval, Highwood, Highland Park, Kenilworth, Lake Forest, Lincolnshire, Riverwoods, Northbrook, Wilmette, or Winnetka. Their ideal home will be less than 10 years old, feature 4 bedrooms, 3+ baths, and a spacious 3 car garage, price up to $1,500,000. This buyer is looking for a home in Northbrook or Glenview Golf priced between $500,000 and $900,000. The special home will feature at least 3 bedrooms and 2 full baths. A delightful lady is looking for her next dream home in Deerfield, Glenview Golf, Glenview Naval, Highland Park, Lake Bluff, Lake Forest, Lincolnshire, Riverwoods, or Northbrook. The home will be less than 5 years old and feature 3 bedrooms, and 3 baths, with a price range of $500,000 to $1,500,000. This gentleman is searching for a 3 bedroom home in Deerfield, Evanston, Glencoe, Highland Park, Northbrook, Riverwoods, Wilmette, or Winnetka. His price range is $700,000 to $2,000,000. We are looking for the ideal home with 4 bedrooms, at least 2½ baths, less than 10 years old, and priced between $400,000 & $700,00. This home should be located in one of the following areas: Arlington Heights, Bannockburn, Barrington Area, Deerfield, Buffalo Grove, Evanston, Ft. Sheridan, Glencoe, Glenview Golf, Glenview Naval, Green Oaks, Libertyville, Highwood, Highland Park, Hawthorn Woods, Lake Zurich, Kildeer, Long Grove, Inverness, Kenilworth, Lake Bluff, Lake Forest, Lincolnshire, Lincolnwood, Mettawa, Morton Grove, Mount Prospect, Mundelein, Northbrook, Northfield, Palatine, Riverwoods, Praire View, Prospect Heights, Skokie, Rolling Meadows, Vernon Hills, Wheeling, Wilmette, or Winnetka. I am buyer seeking a home with 4 bedrooms, a private master bathroom, plus at least 2 other baths. We really like vaulted ceilings, and are looking for a pool, and a 3-car garage. I am looking in Downers Grove, Naperville, and St. Charles. My price range is $500,000 to $1,000,000. Looking for that special home in Bannockburn, Deerfield, Evanston, Ft. Sheridan, Glencoe, Glenview Golf, Glenview Naval, Highland Park, Highwood, Kenilworth, Lake Bluff, Lake Forest, Lincolnshire, Lincolnwood, Mettawa, Morton Grove, Northbrook, Northfield, Praire View, Riverwoods, Skokie, Wilmette, or Winnetka. It will be at least 2 bedrooms and priced between $1,200,000 and $1,600,000. This buyer is looking for a condominium price between $100,000 and $200,000 in Mount Grove, Mount Prospect, Skokie, or Evanston. This nice man is looking for a condominium or town home priced up to $250,000 located in Hawthorn Woods, Lake Zurich, Long Grove, or Kildeer. A wonderful buyer is seeking a family home priced between $200,000 & $300,000, with at least 2 bedrooms. The search is ongoing in these areas: Arlington Heights, Buffalo Grove, Inverness, Mount Prospect, Palatine, Prospect Heights, Wheeling, Barrington Area, Grayslake, Hainesville, Green Oaks, Libertyville, Gurnee, Hawthorn Woods, Lake Zurich, Long Grove, Mundelein, Vernon Hills, Bannockburn, Deerfield, Evanston, Ft. Sheridan, Glencoe, Glenview Golf, Glenview Naval, Highwood, Highland Park, Lake Bluff, Kenilworth, Lake Forest, Lincolnshire, Lincolnwood, Morton Grove, Mettawa, Northbrook, Northfield, Praire View, Skokie, Riverwoods, Wilmette, or Winnetka. A wonderful family is seeking a home in school district 125, the home will feature at least 3 bedrooms, and offer a garage. Price range tops out at $325,000. Special buyers are ready to find their next dream home. It is located in Arlington Heights, Buffalo Grove, Deerfield, Grayslake, Hainseville, Green Oaks, Libertyville, Gurnee, Hawthorn Woods, Lake Zurich, Kildeer, Long Grove, Highwood, Highland Park, Lake Forest, Lincolnshire, Mettawa, Mount Prospect, Mundelein, Palatine, Riverwoods, Vernon Hills, or Wheeling. Being less than 10 years old and offering at least 4 bedrooms, and a 2 car garage is very important to these buyers willing to spend $400,000 to $700,000. I am looking for the ideal home in Deerfield with at least 2 bedrooms and priced between $600,000 and $2,000,000. I am looking for a home with 3 bedrooms, priced between $100,000 & $200,000. My search is concentrated in Grayslake, Hainesville, Gurnee, Hebron, Richmond, and Spring Grove. I am looking for a condominium or town home in Green Oaks, Libertyville, Hawthorn Woods, Lake Zurich, Kildeer, Long Grove, or Vernon Hills. It will be priced up to $250,000. My next home will feature 3 bedrooms, 2 baths, and a garage. It will be located in Deerfield, Glencoe, Highland Park, Northbrook, Northfield, Wilmette, or Winnetka. It will be priced between $550,000 & $900,000. This buyer is looking for either a town home, half of a duplex, a condominium, a ground floor ranch, or a single family home offering 2 bedrooms, 2 baths and a 2-car garage. The master bedroom should be on the main floor. Additional features desired include a private entrance and a patio. Price range not to exceed $600,000. His search included the following area: Arlington Heights, Bannockburn, Deerfield, Buffalo Grove, Ft. Sheridan, Glencoe, Glenview Golf, Glenview Naval, Grayslake, Libertyville, Hainesville, Green Oaks, Gurnee, Hawthorn Woods, Lake Zurich, Kildeer, Long Grove, Highwood, Highland Park, Inverness, Kenilworth, Lake Bluff, Lake Forest, Lincolnshire, Mettawa, Mount Grove, Mount Prospect, Mundelein, Northbrook, Northfield, Palatine, Park Ridge, Praire View, Prospect Heights, Riverwoods, Skokie, Vernon Hills, Wheeling, Wilmette, or Winnetka. I am looking for a home in Evanston with 3 bedrooms and 2 full baths, priced between $450,000 & $850,000. This buyer is looking for land, priced up to $200,000. The land will be located in Bannockburn, Deerfield, Evanston, Ft. Sheridan, Glencoe, Glenview Golf, Glenview Naval, Grayslake, Libertyville, Hainesville, Green Oaks, Gurnee, Highland Park, Highwood, Kenilworth, Lake Bluff, Lake Forest, Lincolnshire, Lincolnwood, Mettawa, Morton Grove, Northbrook, Northfield, Praire View, Riverwoods, Skokie, Vernon Hills, Wilmette, or Winnetka. He is also looking for land priced up to $600,000 in these areas: Buffalo Grove, Deerfield, Green Oaks, Libertyville, Gurnee, Hawthorn Woods, Lake Zurich, Kildeer, Long Grove, Highland Park, Lake Forest, Lincolnshire, Mettawa, Morton Grove, Northbrook, Riverwoods, Vernon Hills, or Wheeling. In addition this buyer is looking for an attached home in Deerfield, Glenview, Highland Park, Lake Forest, Lincolnshire, Northbrook, Riverwoods, Skokie, Buffalo Grove, Long Grove, Vernon Hills, Wheeling with at least 2 bedrooms and priced up to $200,000. These delightful buyers are searching Deerfield, Northbrook, Buffalo Grove, Riverwoods and Lincolnshire for their next home. It is important to them that the home feature at least 3 bedrooms, 2½ baths, a basement, a private master bath, and at least a 2 car garage, they would prefer a larger garage if possible. Their dream home will be priced no more than $630,000. This nice man is looking for a home that offers at least 3 bedrooms and 1 bath with a price range of $700,000 - $2,000,000. He would like his home to be located in Deerfield, Evenston, Glencoe, Highland Park, Northbrook, Riverswoods, Wilmette or Winnetka. Nice gentleman looking for vacant land in Riverswoods. Price range not decided as of yet. Searching for my dream home with at least 3 bedrooms and 2 baths, priced between $400,000 and $600,000. I would like it to have a lot size from .50 – 9.99 acres and located in the Arlington Heights, Barrington, Buffalo Grove, Hawthorn Woods, Lake Zurich, Kildeer, Long Grove, Mount Prospect or Palatine. A wonderful buyer searching for a home to call his own with at least 4 bedrooms and 2 ½ baths, priced from $250,000 to $350,000. Would like his new home to be located in Arlington Heights, Buffalo Grove, Des Plaines, Elk Grove Village, Hoffman Estates, Inverness, Mount Prospect, Niles. Palatine, Prospect Heights, Rolling Meadows, Rosemont, or Wheeling. Beautiful couple looking for home priced from $800,000 in Indian Creek or Vernon Hills. Wonderful man looking for a home with a basement. Must have at least 4 bedrooms and 2 ½ baths one being located in the Master Bedroom. He would like to have a 3 car garage and in-ground pool. Home should be prices from $500,000 - $1,000,000 located in Downers Grove, Naperville and Saint Charles. Beautiful couple looking for a 2 car garage home with at least 4 bedrooms and 2 ½ baths and a basement, priced under $500,000 and located in Buffalo Grove, Wheeling, Mount Prospect, Park Ridge, Elk Grove Village, Prospect Heights, Schaumburg, Arlington Heights, Hoffman Estates, Inverness, Niles, Rolling Meadows, or Des Plaines. Wonderful couple looking for a home from new construction up to 25 years of age in the Deerfield Glencoe, Highland Park, Glenview Golf, Northbrook, Northfield, Wilmette or Winnetka area priced up to $700,000. Home should have at least 2 bedrooms and 2 ½ baths. Delightful women looking for a home priced from $650,000 to $1,000,000 with at least 2 bedrooms and 1 bathroom and located in Deerfield, Glencoe, Highland Park, Lake Forest, Skokie or Winnetka. Great buyer seeking a home with at least 2 bedrooms and 1 bath priced from $600,000 - $2,000,000 in the Deerfield area. Charming couple looking for home located in Northbrook in the Charlemagne subdivision. Nice gentleman looking for a home in the Glenview Golf area that has at least 4 bedrooms, 2 ½ baths and 2 car garage, priced between $650,000 - $3,000,000. Great couple looking for home priced from $300,000 - $575,000, in the Buffalo Grove, Deerfield, Indian Creek, Vernon Hills, Northbrook, Glenview Golf or Lincolnshire area with at least 3 bedrooms and 2 baths, would like to have a bathroom located in the master bedroom. I am looking for a home in the Niles area near frank,ben,field and eug Elementary Schools priced up to $450,000, with at least 3 bedrooms and 1 ½ baths and a 1 car garage. Nice woman looking for a 3 bedroom 1 bath home priced from $150,000 - $200,000, in the Arlington Heights area. Looking for a home with at least 3 bedrooms and 2 baths priced from $200,000 - $350,000 in the Hawthorn Woods, Lake Zurich, Kildeer, Long Grove, Schaumburg, Hoffman Estates, Elk Grove Village, Rolling Meadows, Arlington Heights, Buffalo Grove, Palatine, Inverness, Mount Prospect, Barrington Area, Algonguin, Fox River, Cary, Oakwood Hills, Crystal Lake, Lakewood or Prairie Grove area. Gracious couple have high hopes for finding a home with at least 4 bedrooms and 2 ½ baths with no less that a 2 car garage, priced from $550,000 - $850,000 in the Deerfield or Riverwoods area. Pleasant woman in the market for home with 3 bedrooms and 3 baths, priced from $500,000 - $1,000,000 perfectly located in Highland Park, Deerfield, Bannockburn, Riverwoods, Lake Forest, Lake Bluff, Northbrook, Winnetka, Glencoe, Kenilworth,Wilmette, Morton Grove, Glenview Golf, Highwood, Evanston, Skokie, Lincolnwood, Northfield, or Lincolnshire area. I am seeking a home that features at least 2 bedrooms and 1 bath, priced anywhere from $150,000 - $ 250,000. The idea location would be Deerfield, Lincolnshire, Northbrook, Riverwoods, Arlington Heights, Barrington Area, Buffalo Grove, Mount Prospect, Palatine, or Wheeling area. Splendid woman in the market for a home priced from $700,000 - $900,000, ideal home will be in the Highland Park area close to Elm. Junior High School. Choice buyer searching for her dream home in the Deerfield, Glenview Golf, Lincolnshire, Morton Grove, or Buffalo Grove area. Perfect match would have at least 2 bedrooms and 1 bath, priced from $200,000 - $250,000. Magnificent couple looking for a home with no less than 4 bedrooms and 2 ½ baths, priced from $400,000 - $750,000 and at least 11 – 25 years of age. Home should be located in the Buffalo Grove area, preferably in the 96 or 103 Elementary School District. We are looking for our new home to be in the Park Ridge area with at least 4 bedrooms and priced from $600,000 – $750,000. Fantastic couple looking for a home in the Gages Lake, Grayslake, Hainesville, Third Lake or Wildwood area, preferably in the Mariner subdivision. Gracious buyers looking for a Lake Front property located in the Lake Villa, Lindenhurst, or Wonder Lake area. I am looking for a home in the Barrington, Belvidere, Caledonia, Capron, Cherry Valley, Garden Prairie, Loves Park, Machesney Park, Ogle County, Winnebago County, Poplar Grove, Rockton, South Beloit, Albany Park, Armour Square,Austin, Belmont Cragin, or Bridgeport area with at least 10 acres of land. Nice woman looking for a home located in the Arlington Heights area priced from $200,000 - $500,000 with at least 3 bedrooms and 2 ½ bath. Delightful couple searching for home priced up to $1,750,000 Million. Ideal home should have at least 3 bedrooms and 2 ½ baths and no more than 10 years old. They would like it to be in the Highland Park, Glencoe, Winnetka, Deerfield, Northbrook or Northfield area. Wonderful couple looking for a home priced up to $375,000 in the125 High School District. Perfect home would have at least 3 bedrooms and 2 ½ baths with a 2 car garage and located in the subdivision of Park West, Winston Park, or Park East. We are seeking a home priced up to $800,000 in the Glenview Golf, Highland Park, Deerfield, Glencoe, Highwood, Northbrook, Winnetka or Riverwoods area. We would like our home to have a 2 car garage with at least a total room count of 9 and a basement. Great guy looking for a home priced from $100,000 - $200,000 with at least 2 bedrooms in the Deerfield, Glenview, Highland Park, Lake Forest, Lincolnshire, Northbrook, Riverwoods, Skokie, Buffalo Grove, Long Grove, Vernon Hills, or Wheeling area. Gracious couple looking for a home in the Buffalo Grove area, priced up to $300,000. Great lady seeking home no more than 5 years old, priced from $200,000 - $750,000 with at least 3 bedrooms and 2 baths in the Deerfield or Lake Forest area. A special couple seeking a 2 story home in the Indian Creek or Vernon Hills area with 3 bedrooms, 2 ½ bathrooms, basement and a 2 car garage. This buyer is the market for a home that is no more than 5 years of age. They would like it to have at least 3 bedrooms and 2 ½ baths. Home should be priced from $100,000 - $500,000 and located in Arlington Heights, Barrington, Buffalo Grove, Long Grove, Kildeer, Lake Zurich, Hawthorn Woods, Mount Prospect, Indian Creek, Vernon Hills, or Wheeling area. This nice gentleman is looking for a home priced from $600,000 - $800,000, must have at least 2 bedrooms and 1 bath. The home should be located in Bannockburn, Deerfield, Evanston, Glencoe, Glenview Golf, Highwood, Kenilworth, Lake Bluff, Lake Forest, Lincolnshire, Lincolnwood, Morton Grove, Northbrook, Northfield, Praire View, Riverwoods, Skokie, Wilmette, or Winnetka area. Great woman seeking home in the Lincolnshire area, priced from $500,000 - $1,500,000, with at least 4 bedrooms and 3 ½ baths. Gleeful couple seeking a home priced up to $260,000. Home should be located in Cary or Oakwood preferably in Elementary School District 26, and have at least 3 bedrooms, 1 ½ baths and a 2 car garage. We are looking for a home in the Deerfield area priced from $650,000 - $1,150,000. Buoyant gentleman wanting a home priced from $400,000 - $500,000. His ideal home would have at least 4 bedrooms and 2 ½ baths. Home should be located in Deerfield, Glenview Golf, Highland Park, Lake Forest, Lake Bluff, Northbrook, Winnetka, Glencoe, or Northfield. This lively couple is seeking a home priced up to $600,000. Home should have at least 3 bedrooms and 2 baths with the master on the main floor. Idea home must also have a 2 car garage and be in the area of Glenview Golf, Deerfield, Highwood, Lake Forest, Highland Park, Lincolnshire, Wilmette, Northfield, or Riverwoods. Benevolent couple searching for a home in the Glenview Golf area, priced from $500,000 - $800,000. Perfect fit would have 4 bedrooms, 2 ½ baths, be no older that 10 years of age and have at least a 2 car garage. Bubbly woman seeing home in the Glencoe or Kenilworth area, priced from $200,000 - $1,000,000 with at least 3 bedrooms and 2 ½ baths. I am seeking a home priced from $200,000 - $350,000 in the Deerfield or Evanston area. Great person looking for a home in the Glenview Golf or Northbrook area. Priced from $500,000 - $900,000 with at least 3 bedrooms and 2 baths. I am currently in the market for a home with at least 2 bedrooms, 2 baths and a 2 car garage. I would prefer to have my new home be no older than 10 years of age and be located in Gurnee, Libertyville, or Green Oaks. Pleasant couple searching for a home in the 125 High School District with at least a 2 car garage and a Master bedroom bath located in the Deerfield area. Joyful couple seeking home priced from $100,000 – $1,000,000 with at least 5 bedrooms and 2 baths on ½ to 5 acres of land. Ideal location would be Barrington Area, Arlington Heights, Buffalo Grove, Mount Prospect, Lincolnshire, Rolling Meadows, Iverness, Wheeling, Gurnee, Green Oaks, Libertyville, Vernon Hills, Indian Creek, Hawthorn Woods, Lake Zurich, Kildeer, Long Grove, Gages Lake, Grayslake, Hainesville, Third Lake, Wildwood, or Praire View. Luminous couple searching for 2 story home with 2 car garage. Ideal home would have at least 3 bedrooms and 2 ½ baths and be priced up to $375,000. Perfect location would be in Green Oaks, Libertyville, Gages Lake, Grayslake, Hainesville, Third Lake, Wildwood, Gurnee, Ivanhoe, Mundelein, Indian Creek, or Vernon Hills. Searching for a Condo, ½ Duplex, or Townhouse. Ideal property would be priced up to $ 375,000, have at least 3 bedrooms, 2 baths, and a 1 car garage. I would like my new home to be located in Northbrook or Glenview Golf. Delightful person seeking a home with at least 4 bedrooms and 2 ½ baths. Home should be priced from $500,000 - $ 850,000 and be in the Gurnee, Green Oaks, Libertyville, or Evanston area. Great guy looking for a home in Lake Forest with at least 3 bedrooms and 2 baths. Would be great if home has a 2 car garage. Wonderful lady seeking home in the Highland Park area with .5-1 acres, priced from $250 - $400 K. Home should have at least 4 bedrooms, 2 baths and be between 26 and 50 years old. Nice woman seeking home priced from $350,000 to $550,000, ideal home will have at least 4 bedrooms and 2.5 baths and be located in the Mount Prospect, North Barrington, Palatine, Prospect Heights, Rolling Meadows, South Barrington, Wheeling area. Wonderful lady looking for home in the Deerfield area, priced from $900,000 to $1,500,000. Home should have at least 4 bedrooms and 3 baths. I am looking for a Townhouse/Condo priced from $100,000 to $200,000 with at least 3 bedrooms and 1.5 baths in the Arlington Heights, Barrington, Barrington Hills, Buffalo Grove, Deer Park, Grayslake, Gurnee, Hawthorn Woods, Kildeer, Lake Zurich, Libertyville, Long Grove, Mount Prospect, Mundelein, North Barrington, Palatine, Prairieview, Prospect Heights, Rolling Meadows, South Barrington, Vernon Hills or Wheeling area. Great lady seeking home with at least 2 bedrooms and 1.5 baths. Ideal home would be in the Arlington Heights or Buffalo Grove area and be priced from $200,000 to $300,000. This nice lady is looking for a home in the Bannockburn, Deerfield, Evanston, Glencoe, Glenview, Golf, Highwood, Kenilworth, Lake Bluff, Lake Forest, Lincolnshire, Lincolnwood, Mettawa, Northbrook, Northfield, Riverwoods, Skokie, Wilmette or Winnetka area. Perfect home will have at least 3 bedrooms and 2 baths and be priced from $200,000 to $400,000. This buyer is seeking a home priced from $100,000 to $300,000 with at least 3 bedrooms and 2 baths in the Evanston area. I am looking for a home in the Arlington Heights area. My priced range is from $500,000 to $800,000. Home should have at least 4 bedrooms and 2.5 baths. Nice women looking for home in the Arlington Heights, Barrington, Barrington Hills, Buffalo Grove, Deer Park, Grayslake, Gurnee, Hawthorn Woods, Kildeer, Lake Zurich, Libertyville, Long Grove, Mount Prospect, Mundelein, North Barrington, Palatine, Prairieview, Prospect Heights, Rolling Meadows, South Barrington, Vernon Hills, or Wheeling area. Home should feature at least 4 bedrooms and 2.5 baths. Perfect fit will also have a full basement, central air, pool, and priced from $450,000 to $600,000. I am seeking a home priced from $500,000 to $900,000. Home should contain at least 3 bedrooms and 2 baths and be in the Evanston, Glencoe, Glenview, Golf, Lincolnwood, Morton Grove, Northbrook, Northfield, Skokie, Wilmette, or Winnetka area. This gentleman is searching for a Townhouse/Condo with at least 2 bedrooms and 2 baths. He would prefer to have it in the Skokie area and be priced from $200,000 to $300,000. He would the age to be between 26 and 50 years of age. Wonderful women seeking a home priced from $400,000 to $600,0000 in the Skokie area with at least 3 bedrooms and 2 baths. Young family seeking a home in the Skokie area close to Niles North High School. It should be priced from $150,000 to $250,000, be between 26 and 50 years of age with at least 3 bedrooms and 2 baths. This buyer is seeking a home in the Arlington Heights, Barrington, Barrington Hills, Buffalo Grove, Deer Park, Grayslake, Gurnee, Hawthorn Woods, Kildeer, Lake Zurich, Libertyville, Long Grove, Mount Prospect, Mundelein, North Barrington, Palatine, Prairieview, Prospect Heights, Rolling Meadows, South Barrington, Vernon Hills, or Wheeling area. Home should feature at least 3 bedrooms and 2 baths and be priced from $150,000 and $300,000. A wonderful buyer is looking for a home in the Arlington Heights, Buffalo Grove, or Palatine area. She would love the home to be priced from $100,000 to $400,000 and have at least 3 bedrooms and 2 baths. I am looking for a Townhouse/Condo in the Arlington Heights, Barrington, Mount Prospect, or Palatine area. Ideally it will be priced between $200,000 and $250,000, have at least 2 bedrooms and 1.5 baths, and be 0-5 years old. Nice man looking for a Townhouse/Condo priced from $150,000 to $200,000, having at least 2 bedrooms and 1.5 baths. Wonderful woman seeking home in the Deerfield area priced from $600,000 to $750,000. Ideal home will have at least 4 bedrooms and 2.5 baths. I am seeking a new construction home in the Highland Park area. The idea home will be priced between $1,000,000 and $1,500,000 having at least 4 bedrooms and 3 baths with .5 to 1 acre of land. This wonderful buyer is seeking a home in the Arlington Heights, Barrington, Barrington Hills, Buffalo Grove, Deer Park, Kildeer, Mount Prospect, North Barrington, Palatine, Prospect Heights, Rolling Meadows, South Barrington or Wheeling area. The idea home will have at least 3 bedrooms, 2 baths, a fireplace, 2 car garage and be priced between $100,000 and $400,000. Great gal looking for a townhouse or condo priced between $200,000 and $350,000 having 3 bedrooms and 2 baths in the Bannockburn, Deerfield, Evanston, Glencoe, Glenview, Golf, Highland Park, Highwood, Kenilworth, Lake Bluff, Lake Forest, Lincolnshire, Lincolnwood, Mettawa, Morton Grove, Northbrook, Northfield, Riverwoods, Skokie, Wilmette or Winnetka area. Wonderful lady seeking home in the Arlington Heights or Rolling Meadows area, priced from $350,000 to $700,000 having at least 4 bedrooms and 2.5 baths. Nice guy seeking home in the Deerfield area priced between $100,000 and $3.5 Million. Ideal home will have at least 3 bedrooms and 1 bath. I am looking for a home in the Deerfield area that is 50 to 100 years of age. Ideal home will be priced between $150,000 and $300,000 and have 0-0.5 acres. I would like it to have at least 2 bedrooms and 1.5 baths. This buyer is seeking a townhouse/condo priced from $100,000 to $200,000. 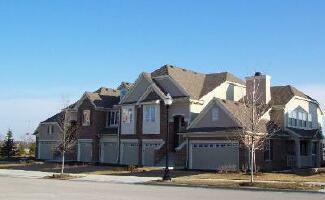 Ideally located in either Bannockburn, Deerfield, Northbrook, or Riverwoods. Great buyer looking to purchase a townhouse/condo in the Evanston area priced between $150,000 and $200,000. Perfect fit will have at least 2 bedrooms and 1 bath with 0-.5 acres. This gentleman is seeking a home that features 3 bedrooms, 2 full baths and is priced between $350,000 & $550,000. His ideal home will be located in one of the following areas: Evanston, Glenview or Skokie. Nice gentleman seeking a single family home in the Evanston, Glencoe, Glenview, Highland Park, Lake Bluff, Lake Forest, Northbrook, or Winnetka area. Perfect fit will have 3 bedrooms, 2 baths, 0.5-1 acre of land and be priced between $500,000 and $1,000,000. Nice woman looking for a home in the Rolling Meadows area. Perfect fit would be priced between $100,000 and $200,000, and have at least 2 bedrooms and 2 baths. Delightful lady seeking home in the Deer Park, Grayslake, Gurnee, Libertyville, Vernon Hills, or Wheeling area. Perfect home should be priced from $200,000 to $250,000, have 4 bedrooms and 2 baths. Nice lady seeking a New Construction home in the Grayslake, Gurnee, or Vernon Hills area. Ideal home should be priced from $200,000 to $350,000, have 3 bedrooms, 2 baths and .5-1 acre of land. I am seeking a home in the Glemview area. Perfect fit would be priced from $100,000 to $300,000, have 2 bedrooms and 1.5 baths.